The European low-fare-high-fee airline Ryanair seems to be continuing in its campaign of contempt to passengers who try and claim compensation from the airline when things go wrong, either by strike action or mechanical problems. 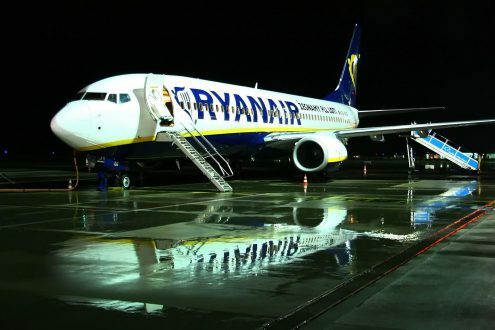 First, as is the case with the most recent strikes by cabin crew and pilots, Ryanair staff were telling passengers they are not entitled to compensation, yet all legal opinion insists passengers do have a legal right to compensation. em a cheque that will bounce after they've paid it into the bank! Many passengers are complaining because the airline sent them compensation cheques that have bounced, mainly because they weren't signed. The airline claims up to 190 customers were sent unsigned cheques, out of a batch of 20,000 in what it supposed was an administrative error. However, indications from passenger rights groups are that the true number of those affected is more than treble the 190 Ryanair reports. A Ryanair spokesperson said “These cheques were re-issued last week and we apologise sincerely for this inconvenience,” but only apologised after media involvement.